There might be possible spoilers in this review, so read at your own risk! 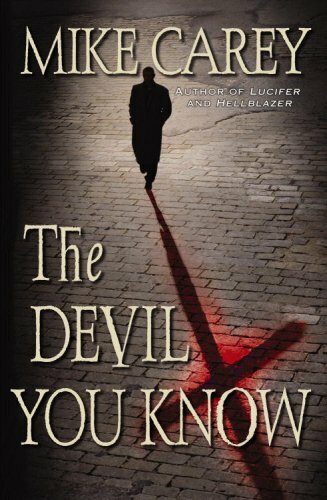 I only read the first two books of Mike Carey’s Felix Castor series so far – The Devil you know and the Vicious Circle, so that’s what my review will be based on. All in all, I liked the world that Mike Carey created – modern day London with a twist. And the twist is that the dead are coming back for some inexplicable reason. Some come back as mere ghosts, some manage to possess human bodies becoming zombies (not the “Braaaaains” kind, just the slowly rotting but mostly harmless kind), and some possess animals, twisting them into human-like forms and become loup-garous. Some of those revenants are peaceful, some not so much, but all of them raise questions that modern society is not prepared to answer: Do the dead have rights? Is exorcising them considered murder? While the authorities are struggling with the answers and working on new laws, people who possess the particular talent of exorcising the dead make a good living for themselves. 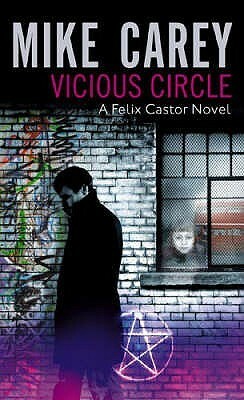 Our protagonist Felix Castor is one such exorcist. And while he is not entirely sure where the ghosts he destroys go (or if they are just snuffed out of existence), his way of making peace with his conscience is to persuade himself that those ghosts are not actual dead people, just memories of dead people, an imprint they left on the fabric of the world before they died. So he is not destroying people, but erasing that memory, which, by all accounts, is just stuck in a repetition of a particular pattern and unable to evolve, think or feel. But this belief is put to test when a ghost he is sent to exorcise deviates from her pattern and actually saves his life. Now Felix must reconsider his approach and also face the fact that he had been destroying actual souls who could feel and be afraid, not mere memories. And as if ghosts were not enough, the other inhabitants of the underworld are eager to squeeze through the opening and invade our reality as well, like the demon who possesses Felix’s friend Rafi or the succubus summoned to kill him in the first book. All in all, the world building is great. Mike Carey does a fabulous job describing a London that is and isn’t the city we know and populating it with engaging characters. I particularly loved Nikki, the conspiracy theory geek whom even death couldn’t slow down for long. I know every author likes his protagonists (heck, I love my darlings too), but make them believable! They can rush into the thick of it without thinking or mouth off once, but chances are they will get hurt for doing that, and hopefully that would make them think and change their behavior. It would make them evolve. I think that’s what bothered me the most in those two books, that Castor doesn’t change and doesn’t learn from his mistakes. I might give this series another chance and try to read book three. Who knows, maybe Felix is just a slow learner? But if that’s not the case, I think I will have to find something else to read.